Soo Jeong Koh, "Fusion Hanbok"
Soo Jeong Koh spent two months painting intricate patterns on the bottom of 2,400 cardboard cups. The 19-year-old then assembled the cups according to the numbering system she devised, and stuck them onto a large wall on the campus grounds of the International School in Bashundhara, Dhaka. When viewed from a distance, the installation reveals an enormous image of a face. Such creative ingenuity is the hallmark of the International School’s art exhibition, which launched last Thursday and is open to the public until the end of today. The exhibition is the culmination of four years of visual arts studies undertaken by six talented young individuals. The International School is authorised by the International Baccalaureate Organisation, so the students will walk away with a highly respected diploma. Each student was required to choose a theme to be reflected in a diverse range of mediums. Korean-born Soo Jeong Koh decided on “Life After Death,” because although she is not a strong believer, she is fascinated by different religions. Her dynamic portfolio includes an African funeral mask, cushions featuring the Grim Reaper, a painting depicting the “hands” of the devil and an angel, and a clay Korean shaman, who communicates with the dead. In order to make the clay statue look authentically old, Soo Jeong Koh soaked it in tea on four separate occasions. Tasnim’s work is predominantly colourful, abstract and uplifting. Her painting titled “Life is a Gift,” features a huge magenta bow on a mustard yellow background. She said, “There are so many external and internal pressures inside me, but at the end of the day, life is still to be appreciated. 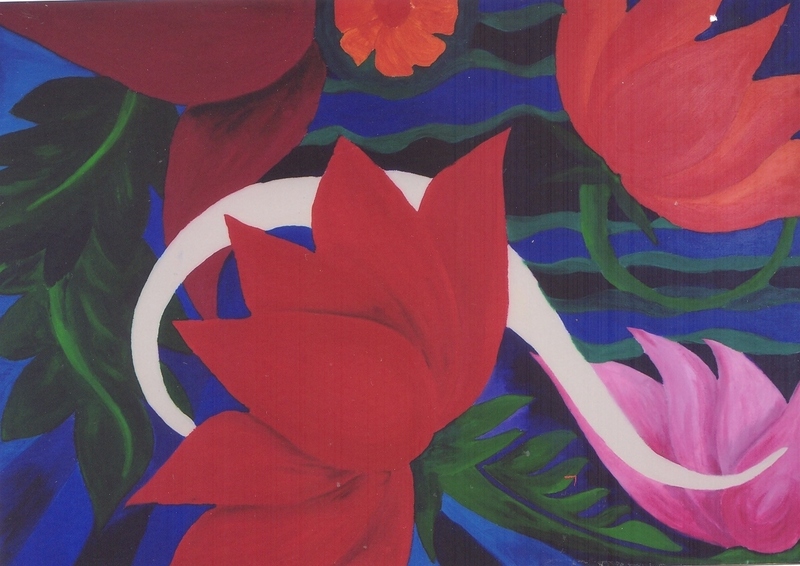 I deliberately used happy colours to portray this message.” Tasnim has also painted scenes from nature – particularly striking are her portraits of a peacock and Bangladesh’s national flower, the lily. “The beauty of nature should always to be appreciated,” she said, smiling. As part of the course requirements, each student mimicked the style of the late British avant-garde painter, Francis Bacon. 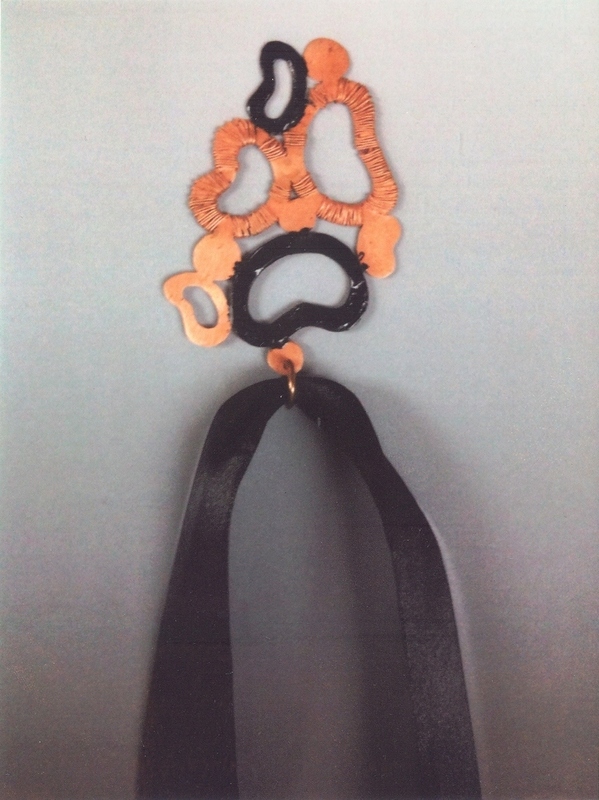 The challenge was to incorporate Bacon’s style with a touch of Bengali culture. Tasnim painted a traditional Bangladeshi bride, whose mouth is open in horror, a theme that absorbed much of Bacon’s work. Soo Jeong Koh painted a poor woman in a sari crouching on the ground. However although she appreciates Bacon’s skill, she did not relish his trademark medium – oil paint. She said, “I mixed a lot of white in with the other colours to keep the appearance dull, as he did. However I did not enjoy using oil colours and I haven’t tried it again since!” Soo Jeong Koh is going to study fashion at Parsons Design School in the US. 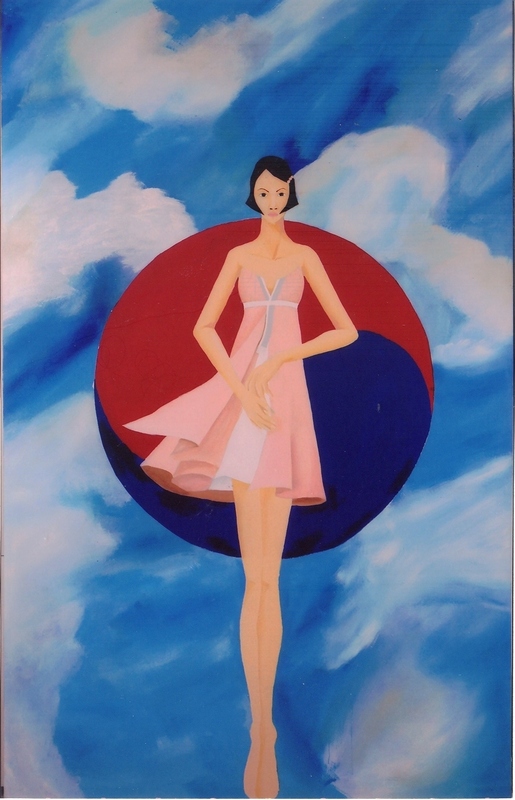 Binari Patirana’s “Killing Me Softly” features a large painting of an upturned set of legs in a gravity-defying skirt. Next to it is an equally large collage, which uses cuttings from a Bangla newspaper to represent streaks of a headscarf in an otherwise uniform red background. These six young artists have presented work that is bold in both its concept and construction. A high level of skill and originality is apparent in each and every portfolio, and it therefore appears likely that their futures will be as bright as their creations. Hey there terrific blog! Does running a blog similar to this require a large amount of work? I’ve very little expertise in computer programming but I had been hoping to start my own blog in the near future. Anyways, if you have any recommendations or techniques for new blog owners please share. I know this is off subject nevertheless I simply wanted to ask. Kudos!